ATDB • View topic - New Ozbus models now arriving! Re: New Ozbus models now arriving! I can't say that I've been impressed with the standard of packaging that Transit Graphics have used in my past shipments. From what I've experienced and heard, the majority of items are shipped in unprotected Australia Post satchels that afford absolutely no protection from even the smallest impacts. Transit Graphics tends not to use bubble wrap either, instead preferring the use of a sparing quantity of foam peanuts. This is completely unacceptable since these are limited edition models that are being purchased by demanding collectors that would undoubtedly notice even the tiniest of flaws. I would happily pay double the shipping fees if quality packaging materials are used and the items are double-boxed using boxes that are large enough to comfortably protect the items. Unfortunately, I received one damaged model in the past and I found out too late (just the other day) due to the fact that I prefer to leave my models unopened in original packaging for collecting purposes. So much effort was spent on perfecting the production process but absolutely no thought was placed upon the shipping process to the customer - POOR! As a regular seller on eBay with an impeccable record, I pride myself on my packaging so I can't understand why an enthusiast-oriented operation would treat their items with such contempt. I have two oz bus with faulty parts now which one of them I have contacted TG for a exchange but the other I haven't told them about which is one of my mark IV's handrail bending slightly towards the front of the bus. Will TG offer an exchange for my mark I've also.my models were packed in white boxes within a large box with foam peanuts. When I buy models from most eBay model sellers they packed them with bubble wrap or some pack it in a foam covering material and on top of that they all add foam peanuts for extra protection. Notice the handrail.I haven't taken it out the clear plastic so it was kinda hard to get a picture of it. Just spoke to the fine people at Transit Graphics who have agreed to send me a replacement case. Mine arrived perfectly after its trip from Canberra to Sydney. Opened her up last night and checked the case and the interior, perfect and spot on. With that being said, I would side with others and say that a little bit better packaging (ie, bubble wrap instead of foam peanuts) would be ideal. But, like I said, I am more than chuffed with mine! I'll try and put a pic of it up tonight! They are fine models. It's a shame that the centre axle on my artic is a bit busted and also that the hub reduction-like axle centre stayed in the production models as that error was pointed out to Transit Graphics during pre production work. Anywho - I certainly couldn't have done better myself so shan't complain any longer! Your Newport 0305g's front desto seems to be coming off a bit. Also I don't really like how the mark IV's rear look.The mark v's rear looks prefect and looks more like a real mark iv and v's rear.Overall the models are great and I cannot wait for the next set of oz bus to be release. Got a few models in bed eh? The irregularity with the 305G desto is that it has both a rubber mounting and the usual metal frame whereas the real thing would only have had rubber only (e.g 2550) or metal only (most of the rest). As far as I can see, they managed to fix this up on the next run of models - the UTA Mk 3s, which are looking very good. Planning to buy a couple. I think I'll jump into my Fairlane V8 and make the trip to Canberra so I can pick and choose the buses I want without the drama I have been reading on here. The mark IV in corp livery looks exquisite despite the odd looking taillight assemblies. I was never really crash hot on the real thing but love this slightly artistic representation! Thanks everyone for your photos. 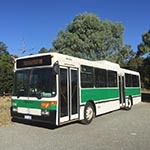 Swift wrote: I think I'll jump into my Fairlane V8 and make the trip to Canberra so I can pick and choose the buses I want without the drama I have been reading on here. Good idea, I also make the drive down to buy the models in person in my Fairmont Ghia V8 as Woodpecker models don't get the OZBUS models in stock and I usually go and see a mate that lives in the ACT. Kill 2 birds with the 1 stone. I'm surprised to hear about the poor packaging of bus model and of which had led to some damaged models. I purchased all of the sta models and each was packaged sufficiently in corrugated white cardboard boxes which were double thickness along with an infinite amount of bubble wrap. I thought that was a standard way that TG packaged all of their bus models. I know this a really late reply, but is anyone selling them for sale because I would love to buy one of them. Is anyone selling the O305G in STA colours, the O405 mk5 or the mk4? 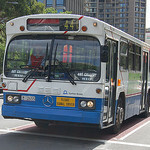 AlphaDraco1 wrote: Is anyone selling the O305G in STA colours, the O405 mk5 or the mk4? Ringer of bus bells and tram gongs. How do I post a forum? PLEASE NOTE..due to Australia Post and their shocking way they treat fragile items, NO POSTING of these buses, pick up ONLY. A pain in the bum I know. But my dad got burnt dealing with the post office, lost 3 models due to impact and crushing on the parcels. The buses are in “”as is condition””....Thanks and Kind Regards, Ade. I Have never had any problems with transit graphic models being posted bought over 50 models allways packed in bubble wrap & a great carboard carton had them delivered to nth qld & country nsw allways been happy with with transit graphics & australia we only have problems with our letter delivery in townsville!